A recent AccountingWeb article (covering a recent ComputingWhich? article) claims that laptop buyers in the market for a sub £300 laptop would be “best” served by a refurbished Compaq Presario. I haven’t got the ComputingWhich? article, but the AccountingWeb article states that eBay wasn’t a good place to purchase since the laptops there in at least one case didn’t have proper software licences, and certainly (this is true) may not come with official retailer and manufacturer after-sales support or warranty. There is absolutely no way that ComputingWhich? are right, and it is dissapointing that the best they could suggest was a refurbished Compaq Presario with a broken power supply unit. Compaq/HP laptops are notoriously poor quality, containing cheaper and lower performance parts than their more suitable counterparts. Compaq/HP laptops are the trabant of the laptop world, favoured by PC World and similar high street shops. These laptops carry huge profit margins for the shops (and poor value for you) and have a reputation for poor build quality and terrible service (particularly PC World in this regard). If you want to know more, simply google these products and companies and make your own mind up from what you read. Their researchers were briefed to find laptops with a minimum specification of a 233MHz Intel Pentium processor, 64MB of RAM and at least 1.5GB of storage capacity. They looked everywhere, direct with manufacturers, online resellers, classified and the high street. But they didn’t look hard enough. There are a multitude of brand new laptops available for around or less than £300, with at least a 1600Mhz processor, 512MB of RAM and 60GB of storage capacity. As a software house, we regularly have to source cheap hardware in order to test our software for compatability. Even so, a trade account isn’t required to get a good deal on a brand new laptop. 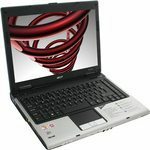 It isn’t hard to find a laptop, from a quality manufacturer using quality parts with a specification that is at least 6 times faster and 6 times bigger than the ComputingWhich? minimum. Second hand, even refurbished laptops, unless intended for children’s toys, testing or parts are not recommended. A cheap second hand laptop may have been misused (how many times have you moved a laptop while it is on, or not kept it on a flat surface?). It may have been kept in a dusty or smoky atmosphere (I’m looking at you, smokers! ), increasing the likelyhood of critical temperature causing component failure. You’re also going to be getting a second hand laptop battery with your refurbished or used laptop, this is not good, particularly as cheap laptops are too often shipped with Celeron or Athlon/Semperon processors which all use up a lot of energy and emit a lot of heat. Used batteries on old technology won’t last long, maybe an hour or so on average. Old batteries might have NiCd cells, rather than NiMH or better still, Lithium Ion cells, compounding the issues associated with old, dated batteries. “Celeron” is the Intel brand name for the cheap, budget CPUs for desktops and laptops. Newer Celerons are significantly faster and cooler than the older Celerons, although the “Core 2 Duo” model is vastly superior and should be high on your wish list. 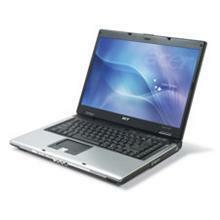 All of the above laptops can be had with Windows XP or Windows Vista. Some come with Microsoft Works (cut down office), or you can use the fantastic OpenOffice completely free. The refurbished laptop from Currys that ComputingWhich? found had a broken PSU, replaced under warranty within three days. The fact that there is a wide choice brand new laptops available, with safe and factory electrically tested PSU’s should be a no-brainer. All these laptops come with consumer protection courtesy of the distance selling regulations, are brand new with warranty and service/support options and are completely brand new. They all have brand new hard disk drives with no bad sectors, no damaged pixels on the screen, clean batteries with full power potential and none of the drawbacks of a used machine. When you consider that Windows Vista is £150-£200 on its own, and the original parts for these laptops comes to £200-300 if you’re able to purchase the components individually, you can see what a great bargin these low-end laptops are. My advice would be, if you can stretch to £450 – you can buy some magnificant laptops, powered by the Intel “Core 2 Duo” processor. “Core 2 Duo” (NOT to be confused with “Core Duo”) laptops are in the £400-500 price range are the current sweet spot for bang-for-your-buck performance mobile computing. Even our two local Tesco stores are selling these laptops there now. If you’re buying for Christmas, forget the refurbished laptops. Unless you’re purchasing high-end equipment that would normally be out of your price range, a refurbished £300 laptop is a poor choice. Do you still want a refurbished Compaq Presario after reading this? Really useful – Just the sort of info I was looking for. Thanks, John, glad you liked it. Hope it was in time for Christmas!